Chris Shepherd, an I-CAR instructor at Caddo Career & Technology Center in Shreveport, La. was awarded the 2018 I-CAR Platinum/ ASE Master Collision Repair & Refinish Technician of the Year. 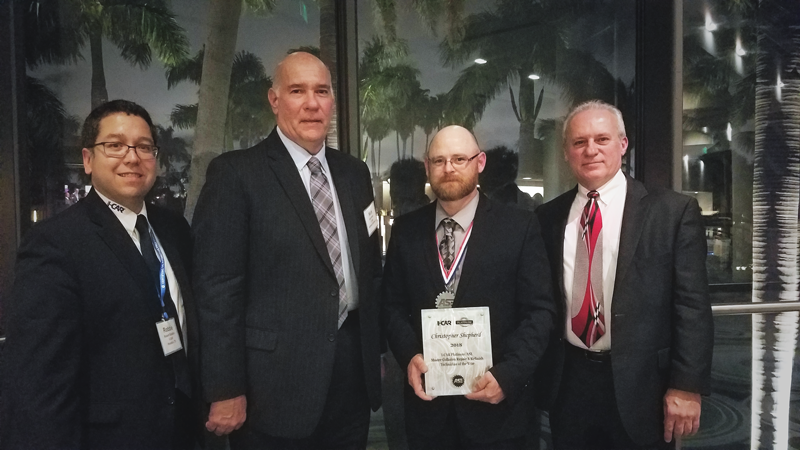 The award was presented by Nick Notte, I-CAR’s senior vice president of sales, on November 14 during the Fall 2018 ASE Board of Governors meeting and annual Technician Recognition Awards banquet in Fort Lauderdale, Florida.